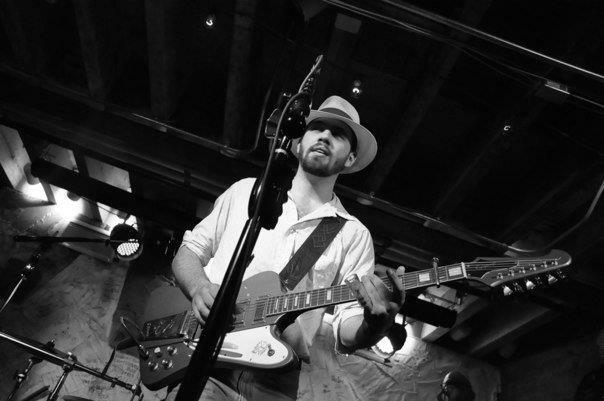 A student of the Hill Country blues tradition, Jonny Grave has been performing professionally since age 15. Pulling from the playing of R.L. Burnside, Kenny Brown and Mississippi Fred McDowell, Grave plays a grooving, rhythmic blend of traditional blues and primitive rock’n’roll. He is joined by his band, the Tombstones (Nate Oliver, Rev. A.R. Pierce, and Jeff Stapleton) for a night of raucous, raunchy, loud and wild blues. Apart from the odd coffee shop, talent show, or open mic from my high school days, the first gig I ever had by myself was five years ago at the Quarry House Tavern in Silver Spring. I was nineteen years old, and extraordinarily new to the music scene in DC. Actually, by that point, I hadn’t even begun to break into DC– I was still playing shows in my own neighborhood. I played from 9 to midnight on a Wednesday, and I was paid $50. That was the first time I remember thinking “this is actually kind of hard work.” It was also the first time I realized that I’m cut out for it. I’ve had a lot of really fantastic shows since that night at the Quarry House. I got to play a bona fide juke joint in Birmingham, Alabama opening for one of my heroes. I got to tour from the Midwest back to DC in ten days with a van full of strangers. Just this year alone, I’ve toured London, played the Kennedy Center, and I’m about to headline the Black Cat next week. It’s hard to pick the best. If I really had to pick just one, I think it might be the blues dance my band and I played at Glen Echo immediately after playing the Millennium Stage this past May. We played for three hours to a crowd of 120 dancers. It was perfect– we ended our night with inviting a few couples to dance on the stage with us. low, lizard-like strut with a Gibson Firebird around his shoulder, playing “Honky Tonk Women.” For the next two hours (not including the three encores), I was floored with pure and simple rock and roll. I knew then and there that I needed to be a part of what was happening on that stage. Ever since the Rolling Stones show, I’ve wanted to play stadiums. The blues, like most forms of folk music, is too often treated like an artifact. It was always my understanding that, while the blues is a very old kind of music, and that it has a significant place in the history of rock and roll, it is far from dead. It is a living, breathing, and ever-changing art form, and is as alive today as it was in the 20’s. I think it’s time people wake up to that. I want to bring the blues to stadiums. I’d like to play Nationals Park. My band, of course. Jeff, Nate, Rev and I have played pretty hard together for the past few years. There’s a sound that we’ve concocted that I can’t get with anyone else. Although… I’d probably hire Charlie Musselwhite to blow harp, ask Ry Cooder, Billy Gibbons, and Bonnie Raitt to sit in for a song or two, put Dr. John behind an organ, and play a couple of duets with my dad.